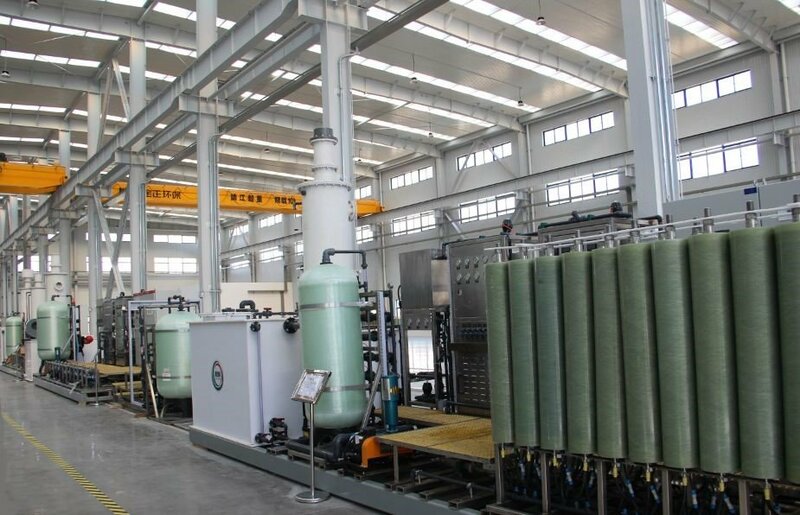 YANTAI, CHINA / ACCESSWIRE / April 20, 2018 / Newater Technology, Inc. (NASDAQ: NEWA) (“NEWA”, “we”, “our” or the “Company”), a developer and manufacturer of membrane ﬁltration products and related hardware and engineered systems that are used in the treatment, recycling and discharge of wastewater, through its wholly owned subsidiary in China, Yantai Jinzheng Eco-Technology Co. Ltd. (“Jinzheng”) today announced its plans for a new manufacturing facility located in Jinzheng Eco-Technology Industry Park (“Jinzheng Industrial Park”), and the partial completion of the manufacturing facility. Jinzheng Industrial Park, located in Yantai, China, is set on an 8.07-acre site with the total square footage of the building complex to be 291,470 (27,079 square meters). There will be two phases for the construction. Phase I includes a manufacturing facility that hosts a traditional manufacturing line and an automatic production line for membrane modules which are the key components for the wastewater treatment equipment, a manufacturing facility for wastewater treatment equipment, and an office building that hosts a research and development lab for membrane modules. Phase II includes the construction of a lab and a plant for membrane materials, which are the essential elements for membrane modules. The construction of Phase I commenced in September 2017. Part of the production facility that hosts the traditional manufacturing line for membrane modules and the facility for manufacturing wastewater treatment equipment have been completed and began operation on April 13, 2018. 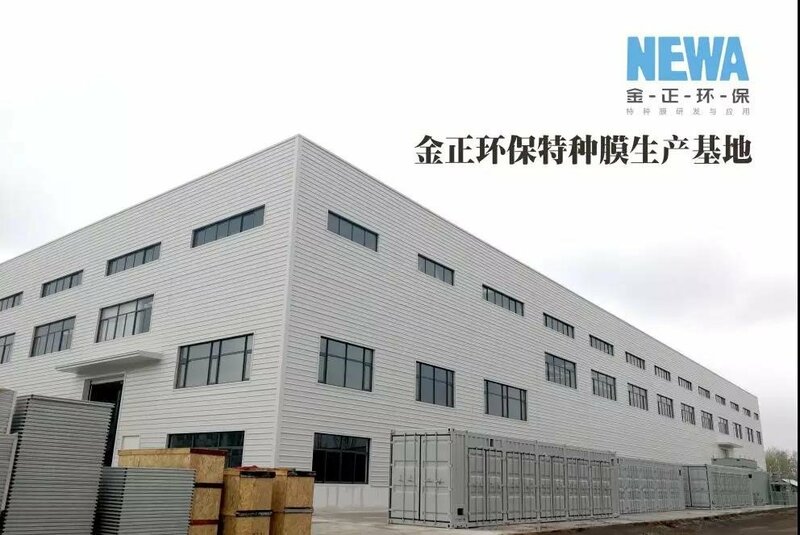 The remaining portion of Phase I project, including the office building, the R&D lab, and the automatic production line for membrane modules are slated for completion in approximately 4 months. Phase II is expected to commence in 2019, and the construction will take about one year. Upon completion, all the Company’s employees (currently 178) will move into Jinzheng Industrial Park. The Company is funding this project mainly from its IPO proceeds and the income generated from its operation. The outside of the new facility for manufacturing wastewater treatment equipment. This press release contains forward-looking statements as defined by the Private Securities Litigation Reform Act of 1995. Forward-looking statements include statements concerning plans, objectives, goals, strategies, future events or performance, and underlying assumptions and other statements that are other than statements of historical facts. When the Company uses words such as “may”, “will”, “intend”, “should”, “believe”, “expect”, “anticipate”, “project”, “estimate” or similar expressions that do not relate solely to historical matters, it is making forward-looking statements. Specifically, the Company’s statements regarding its ability to complete Phase I and II located at Jinzheng Industrial Park and its ability to increase it competitive advantages are forward-looking statements. Forward-looking statements are not guarantees of future performance and involve risks and uncertainties that may cause the actual results to differ materially from the Company’s expectations discussed in the forward-looking statements. These statements are subject to uncertainties and risks including, but not limited to, the following: the Company’s goals and strategies; the Company’s future business development; product and service demand and acceptance; changes in technology; economic conditions; the growth of the water filtration industry in China; reputation and brand; the impact of competition and pricing; government regulations; fluctuations in general economic and business conditions in China and assumptions underlying or related to any of the foregoing and other risks contained in reports filed by the Company with the Securities and Exchange Commission. For these reasons, among others, investors are cautioned not to place undue reliance upon any forward-looking statements in this press release. Additional factors are discussed in the Company’s filings with the U.S. Securities and Exchange Commission, which are available for review at www.sec.gov. The Company undertakes no obligation to publicly revise these forward-looking statements to reflect events or circumstances that arise after the date hereof.